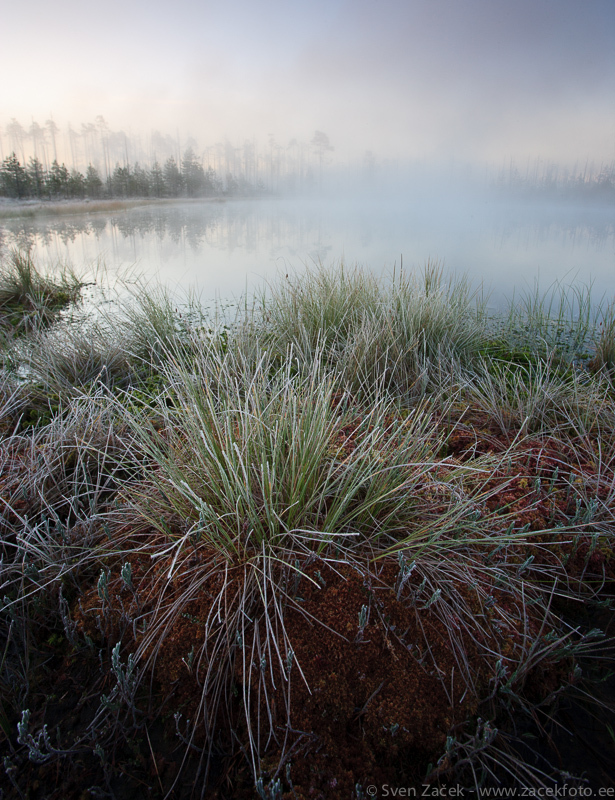 Hoarfrost on the turf and fog on a bog lake. Perfect scenery to enjoy before sunrise. Photo info - Autumn: : Canon 1Ds MarkII + Canon 17-40mm @ 17mm. F11, 0,3s, ISO 100. Beautiful shot! Great depth, just perfect.